A group of Irelands’ leading not for profit organisations and campaigners came together today, Monday October 1st, to highlight the urgent need for investment in home care services pending the introduction of a statutory home care scheme. A brand new beauty experience has launched in Kilkenny. The city’s four star boutique Pembroke Hotel has opened its new ‘MINT at the Pembroke’ Beauty, Laser and Shop destination. MINT at the Pembroke was officially launched by Stylist and Broadcaster, Lisa Fitzpatrick. Over 200 guests attended the exclusive event and were treated to MINT at the Pembroke’s Contour Clinic with Buff Make-Up experts, bespoke skin analyses, presentations on the latest beauty, skincare and style tips and entertainment, tasty treats and delicious cocktails from special guest Mixologist Chris Hennessy. On the night a surprise presentation was made to MINT at the Pembroke awarding them the Five Star Salon of Excellence Award from Germaine de Capuccini. 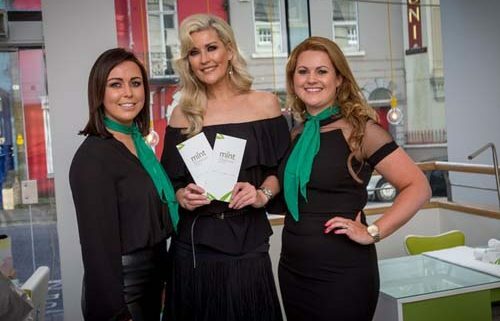 MINT at the Pembroke was chosen out of 120 salons across Ireland for this prestigious accolade. “We are launching a whole new beauty centre in Kilkenny with MINT at the Pembroke. We have brought in a number of exclusive skin care ranges and treatments to the South-East and offer the most state-of-the art laser technology outside of Dublin” said Sarah Millea, Manager of MINT at the Pembroke. MINT at the Pembroke brings a whole new beauty offer to Kilkenny. Under new manager, Sarah Millea, the MINT team of seven expert therapists and specialist laser therapist offer a range of excusive treatments and product lines. Their new state-of-the-art laser treatment, Candela Gentlemax Pro, is only available at MINT at the Pembroke, outside of Dublin. This gives a range of results-driven treatments from hair removal to red-vein and sun damage corrections. MINT’s clinic department has also introduced the new Réjuavepen treatment – this unique collagen stimulation system is fantastic for advanced skin rejuvenation, noticeably plumping and refreshing the skin. MINT at the Pembroke also provides luxurious facial and body treatments from renowned beauty brands Germaine de Capuccini, Dermaceutic Peels, Buff Make-Up, and Neom Organics – one of the world’s leading wellness treatment ranges. Perfect for parties and girls getaways, MINT at the Pembroke hosts a beautiful light-filled mani/pedi and make-up area where friends can get treated and pampered together – perfect for a night out in vibrant Kilkenny. Equipment systems engineering firm, SL Controls, has announced 20 new positions. The company currently employs 51 people and the new jobs are for qualified equipment systems engineers and graduates to support the company’s growing Irish operations and expansion into Europe. The positions will be created across SL Control’s five operating centres – it’s HQ in Sligo and offices in Galway, Limerick, Dublin and Birmingham. “As part of our client engagement and recruitment strategy, we now operate five offices across Ireland and the UK. The geographic spread of our business has been one of our biggest and best investments allowing us to recruit and retain top engineering talent and graduates who are keen to live near their home towns and families. We are currently in a period of rapid expansion, having welcomed our 51st team member this week, and look forward to recruiting another 20 engineers by early 2017” said Keith Moran, Managing Director of SL Controls. SL Controls has expanded into Europe with sights set on new territories and markets in the Food, Med Device and Pharma markets. The company has established a new compliance department and recently completed customised serialisation solutions in Germany, Belgium, Holland, Sweden and France. With the prevalence of counterfeit drugs leading to new data compliance directives whereby each drug must have its own unique identification code, this is a fast growing market and one SL Controls plans to increase to 10 per cent of its business by year end. The company’s turnover is on target to grow to €4.2 million by the end of 2016, up from €3.1 million in 2015. Founded in Sligo in 2002 by MD, Keith Moran, and Chief Technology Officer, Shane Loughlin, SL Controls is an internationally recognised leader in Equipment Systems Integration. The SME has delivered over one million hours of specialised software integration services proven to significantly increase client’s Overall Equipment Effectiveness (OEE) and overall operational costs. SL Controls works with clients across the Pharma, Medical Device, Healthcare, Food and Beverage and Technology Sectors, all of which require high level software integration expertise and regulatory compliance. Leading engineering innovation in Ireland, SL Controls has created its own unique process for Equipment System Integration called DiVOM, developed in conjunction with Dublin Institute of Technology. DiVOM stands for Design, Integration, Validation, Operation and Maintenance and has been proven to save up to 30 per cent of client’s equipment operating costs. This week also sees SL Controls launch its new engineering software range called TOTALline. Developed over ten years by SL Control’s experienced design engineers, TOTALline provides manufacturing clients with tailored solutions to deliver essential data and information to senior management and the corporate department from which key strategic decisions can be based. TOTALline’s applications are uniquely developed to provide clients bespoke solutions across four main categories – Corporate, Plant, Line and Equipment. TOTALline applications are customisable to meet client’s unique needs and ever-changing production requirements. As SL Controls is vendor independent, the company can work with a client’s existing technologies and not burden them with a complete hardware or software re-design. Ireland’s largest golf complex, Deer Park Golf at Howth Castle, is opening the world’s first ‘Poc Fada Golf’ course, ahead of tomorrow’s highly anticipated All-Ireland Poc Fada Final. This new game, combining hurling with golf, was launched today by Dublin GAA All-Star hurler and TV pundit, Liam Rushe. 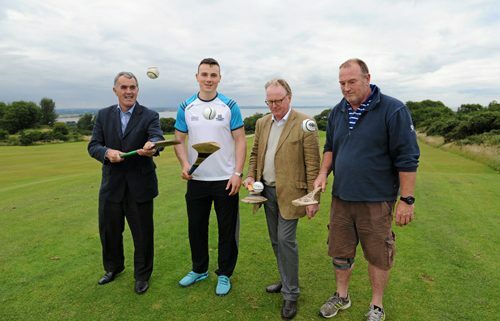 Offering a unique golfing experience, the Poc Fada Golf concept was developed by Julian Gaisford-St Lawrence, whose family built Howth Castle, in consultation with David Caulfield of Beann Eadair GAA and Humphrey Kelleher, former Dublin hurling manager and Chairman of the National Poc Fada Committee. The rules are similar to golf – each hole carries a par and the aim is to hit a sliotar into the ‘larger’ holes in as few shots as possible. “We in the GAA are delighted to endorse the imagination and initiative undertaken by the Gaisford-St Lawrence family in introducing Poc Fada Golf. The concept links the two ancient games of hurling and golf in a very new setting, overlooking Ireland’s Eye. It’s a fun game that incorporates a number of hurling skills including striking from the hand, lifting and striking from the ground and the art of sideline pucks. I have no doubt that this game will go from strength to strength” said Humphrey Kelleher. Poc Fada was founded in 1960 in the Cooley Mountains, Co. Louth where it is still played. Famous for its breath-taking scenery, Deer Park Golf’s Poc Fada Golf course is the only comparable venue in Ireland with its spectacular views over Howth Head. The concept of the competition originates in the Irish legend of “Táin Bó Cuailgne” when Cúchulainn set out from his home to the King’s court at Emain Macha hitting his sliotar before him and running ahead to catch it. Offering a new and fun experience, Poc Fada Golf promises a great day out and can be played by all ages. The new Poc Fada Golf course follows Deer Park Golf’s launch last year of its popular FootGolf course. Deer Park Golf hopes the course will attract new players to the complex and looks forward to welcoming hurling teams and enthusiasts from Dublin and elsewhere in the country to try their skill at this new and exciting sport. After a hard day’s fun, players can relax and get something to eat at Deer Park’s Club House, with a delicious new menu created with Howth Castle’s on-site ‘The Kitchen in the Castle’ cookery school. “We continue to offer one of the country’s best golf courses with spectacular views over Dublin Bay and are constantly looking to provide the very best golf as well as new and fun experiences. Alongside our golf courses, our new FootGolf course has been attracting a new audience and we believe our Poc Fada Golf course will do the same. We have had great feedback so far from FootGolfers and hope to continue this with hurlers, GAA enthusiasts, groups and families looking for a great day out. The Dublin Minor Hurling Team played our FootGolf course with hurleys and sliotars in the Spring and we look forward to welcoming them back to a course that has been specially designed with players like them in mind” said Julian Gaisford-St Lawrence. Located in North County Dublin, just 20 minutes from Dublin Airport and 10 minutes from Howth Dart station, the grounds of the historic Howth Castle features Ireland’s largest golf complex. Fred Hawtree designed 18 and 9 hole Golf Courses, 18 hole FootGolf, a Pitch & Putt course and now Poc Fada Golf, are open to visitors seven days a week all year round. From €10 per person, special group rates available. Open seven days 8am to 8pm. A leading Irish company is urging farmers and others who operate pesticide sprayer applications to be aware of new Irish legislation. From 26TH November 2015 all operators of chemicals and sprays must be registered with the Department of Agriculture, Food and Marine. The move has been welcomed by leading PPE company Portwest as a recent study in the US of over 19,000 farmers revealed those working with pesticides have a greater risk of developing neurological problems and other side effects. Pesticides play an important role in farming however many are known to have negative side effects on people as well as on the environment. The study was conducted by Freya Kamel of the National Institute of Environmental Health Sciences and examined a range of symptoms, ranging from headache and fatigue to memory loss problems. The study, which examined the long term effects of pesticides, found that farmers with a higher lifetime exposure to pesticides had more neurological and health problems. Other short terms problems encountered include, accidental inhalation of pesticides and skin and eye irritation. During pesticide spraying, unintended exposures can occur in the general area where pesticides are applied. Very low levels of exposure are proven to have adverse health effects. Symptoms are often very subtle and may not be recognised immediately. Portwest has developed special Pesticide handling kits that guarantee the safety of farmers when handling poisonous substances. The first of its kind on the market for farmers and other sprayer operations, the Irish company which is run by the Hughes family from Westport in Co Mayo are Europe’s most trusted name in work-wear, personal protective equipment, safety footwear and leisurewear. Portwest employs over 2,000 staff worldwide and have offices in Ireland, the UK, Poland, Germany, Dubai, China, Bangladesh and the USA. Jerpoint Glass, Ireland’s only glassblowing studio that apply traditional handcrafted techniques to full ranges of glassware introduce their ‘Jerpoint Glass Zest Collection’ for Summer 2015. The collection adds a novel and fun summer twist to the iconic and instantly identifiable Jerpoint Glass. Available in a spectrum of bespoke colours including Blackberry, Lime, Citrus, Blueberry and Pomegranate, the novel range can be used as small bowls, bud-vases and Hors D’oeuvre pots. Each piece in this exclusive collection is individually hand-crafted by artisan glassblowers who firstly, add a layer of coloured glass and then, hand-form the shapes, finishing with a second flourish of colour. The solid colour is applied first with the second colour swirled over the top and the result is a dramatic coloured vase or bowl with a twist of alternative colour overlaid. 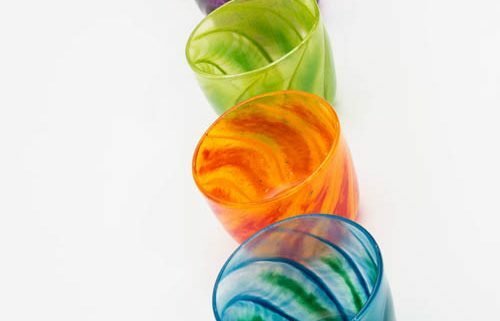 The Jerpoint Glass Zest Collection starts at just €45.00 and is currently available online at www.jerpointglass.com and also in studio at Jerpoint in Stoneyford, Co Kilkenny. Tá áthas orm a bheith anseo libh ar fad ag an Duais Fadseirbhíse do cúramóirí teaghlaigh ar maidin. 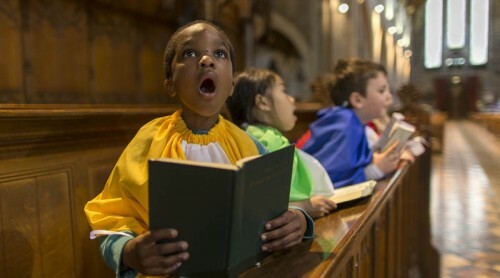 Is mian liom mo bhuíochas a ghabháil le Chumann na gCúramóirí dá gcuireadh caoin dom a bheith anseo libh chun an ócáid speisialta seo a cheiliúradh. As a society we must all be grateful for the quiet, sustained work of the many unsung heroes who provide critical care for family members and others who, without that care, would be unable to remain in their own homes. It is important, however, that we be challenged by their actions and their sacrifices, rooted as they are in a great spirit of generosity and human solidarity and will to make their contribution to wider society. It is such a sense of solidarity which should prompt us to recognise and respond to the rights of those who provide and those who receive assistance and that we combine our responses with a pursuit of social justice. Whilst caring for fellow citizens, and family members in particular, has always been an essential part of family life and responsible citizenship, changes in societal structures and demographics, along with rapid advancement in medical science, has presented carers with new and complex challenges. There can be no doubt that, while retaining and valuing a spirit of concern for others and a willingness to offer of our time and support to those who are vulnerable is essential we need, as a society, to invest in public policies and resources that can reduce the burden on those who care for loved ones. That such care is altruistic and given with generosity does not, and should never, exonerate the State from its duty of care towards all of its citizens. The ethics of kinship and friendship, with its moral gift, must always go hand in hand with the building of a caring state by concerned citizens. It is the concerns of citizens and this articulation of it that after all defines the reach of the State. A caring society does not fall from the sky. The case for it must be made and support for it given. Every day, in homes across the country, hundreds of thousands of people are providing generous care for parents, children, partners, or other family members or friends. Indeed the number of citizens who undertake this demanding and often difficult role continues to increase, and as the figures increase an urgent need for strategic planning in relation to care provision, in particular that of long term care, for our ageing population, becomes ever more clear. The most recent census has shown that 4.1% of our population now provide unpaid care, with a total of 6,287,510 hours of such care being provided every week in this country. In addition, while Ireland currently has one of the lowest proportions of citizens aged over 65, this is rapidly changing and between Census 2006 and Census 2011 the percentage of over 85s in this country grew by 25%. We also know that the population of older parents who have children with a learning disability is growing, presenting its own complexities as many such parents enter a sixth or seventh decade as the primary carer for their child. So today we receive a welcome opportunity to express our deep appreciation, and indeed admiration, for some of the citizens whose work stands behind those stark figures, and give them their human meaning. We also receive an opportunity to reflect on the reality of the lives that make up the statistics and numbers and percentages. They are lives that must at times feel overwhelmed, hugely burdensome to carry, or even unfair. Lives where many days are reduced to a struggle against tiredness, stress and loneliness; and where the separation of a caring role and that more fundamental relationship to a parent, child, sibling or friend, can very often be difficult to sustain. There are also, of course, the many practical and far reaching aspects which must be considered when undertaking a caring role; aspects which can impact so strongly on the quality of life for the carer. Some carers may have to leave their place of work, or reduce their hours or take early retirement, at huge cost to their financial security. Others may have to balance the competing needs of their paid employment and their caring roles. All make enormous private sacrifices, giving up time, personal freedom, opportunities and even friendships in order to look after the person in their care. For all our award recipients here today, their journey has been a unique one. The circumstances under which an individual becomes a carer can vary considerably. Some may have been propelled into that role with a great suddenness, with no time to plan or to prepare themselves, either practically or emotionally, for such a seismic shift in their lifestyle. For others it may have been a more gradual process, a growing awareness that a family member was becoming more dependent on day-to-day care and less able to manage alone. And for others, the commitment to caring for and nurturing a child became a lifetime of selfless giving. However, whatever the individual circumstances, all carers have one thing in common; the ability to commit their lives selflessly to the emotional and physical needs of a loved one; to centre their days around that person and to ensure they have all they need to live their lives as fully and comfortably and enjoyably as possible. Each one of those chosen for these awards, and the many other people around the country that they mirror or represent, provides an essential service which allows someone affected by illness or disability or old age to live as comfortable and normal a life as possible within the familiarity of their own home and to be surrounded by their own unique memories as they struggle with the effects of their debilitating illness or disability. In our society we acknowledge and reward achievement, whether in business, sport, the arts or other endeavours. We are here today to celebrate your achievements, which are born of a spirit of giving to others. Unlike others, your work is done quietly and in the background, and you neither seek nor receive any fanfare. As Uachtaráin na hÉireann, I am delighted to have this opportunity to acknowledge the vital work you do; work which has, at its heart, an inspiring spirit of selfless commitment, devotion and dedication. Is mian liom buíochas a ghabháil libh as ucht na hoibre sin a dhéanann sibh chun sochaí eiticiúil a fhorbairt, sochaí a bhfuil bunnaithe ar iomláine mhothúchánach agus ar intinn chásnach a bhfuil ina gcuid lárnach den creatlach sóisialta i ngach poblacht dhaonlathach chóir. id lárnach den creatlach sóisialta i ngach poblacht dhaonlathach chóir. La Rivista Italian Restaurant on Parliament Street in Kilkenny is firmly focussing on gluten-free goodness from September 22 – 29th with their gloriously gluten-free menu. Gluten intolerant diners are invited to dine at La Rivista during their special in-house ‘La Rivista Gluten-Free Week’ and receive a free glass of wine with their gluten-free meal just for coming along. Gluten intolerant diners often feel neglected or ‘second best’ in restaurants and La Rivista would like to illustrate just how good their gluten-free menu is to coeliac or gluten-intolerant customers by setting aside one week to firmly focus on this clientele. “We have extensive gluten-free options with the majority of our menu available gluten-free,” said head chef and co-owner, Therese Maguire. “We cater specifically to the needs of our customers and always have done. However, this week, we would like to devote our expertise to our coeliac and gluten-intolerant clientele to remind them of the variety that is available to them at La Rivista as so many complain of restricted menus when dining out. We want gluten-free diners to feel welcome and very much catered for at La Rivista,” she added. Traditionally, Italian food has been a difficult choice for gluten intolerant diners due to the nature of its pizza and pasta dominated menus. Now La Rivista is offering gluten-free pizza dough, gluten-free pasta, gluten-free grills and gluten-free deserts. With 1 in 100 Irish people suffering from Coeliac Disease or some form of gluten intolerance, it has never been more important for restaurants to cater for this dietary requirement. However, more and more non-gluten intolerant diners are also asking for gluten free options. “La Rivista is delighted to focus on gluten-free customers for a week and it doesn’t end there. Every day we get customers asking us for gluten-free options. They are always concerned about ingredients and cooking process as it can seriously affect their health. Our staff are all trained to ask questions and deliver the appropriate information to the chefs about the clients’ needs. 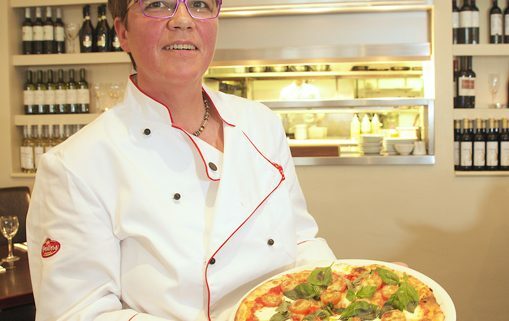 We pride ourselves on offering gluten-intolerant clients, the best gluten-free menu in Kilkenny, not just throughout this week but every day,” says Jennifer Quinn, co-owner and front-of-house manager at La Rivista. For further information on the gluten-free options at La Rivista and for information on La Rivista Gluten-Free Week from September 22 – 29th please see www.larivista.com and facebook.com/larivistakilkenny. La Rivista also offer vegetarian, dairy-free and lighter bites options and will do everything possible to accommodate any other dietary requirements. The great days of photography were long before everyone, and I mean everyone, had a camera. You cannot go a half hour now without seeing someone taking a photo with their phone. Hands up anyone who has not taken a selfie. Recently I have been travelling and I have noticed the return of the real camera. More and more people are actually interested in taking photos again as well as just point and press snaps. Five years ago I would have predicted the camera manufacturers would become as rare as Kodak film. But no. People are realising that thinking about an image, focus, depth of field, composition and lighting gives a more satisfying result. The amateurs are getting better. But the people who do it day in, day out, are called photographers. Their extinction was also prematurely predicted. Their work is still what I look at first before I read a word in the papers. Long may they prosper.